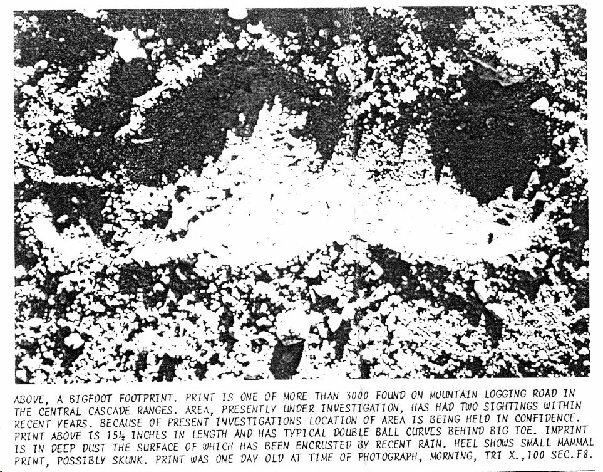 Range of Washington State where the logging crew had sightings in 1975.
imprint was estimated at 15 ½ inches in length, four toes visible and a day old at the time the photograph was taken. Five toed double-ball track imprints were also observed on Blue Creek Mountain Road in N. California in 1950's and '60's; not seen again since 1967. From the files of © Peter Guttilla, 1975.